Archbishop Kieran O’Reilly and Bishop Ray Browne appeal to Irish people to hear and respond to the cries of the people of Gaza. “The terrible conditions in which tens of thousands of families in Gaza are living are an assault on human dignity,” two Irish bishops who have just returned from the Middle East have stated. 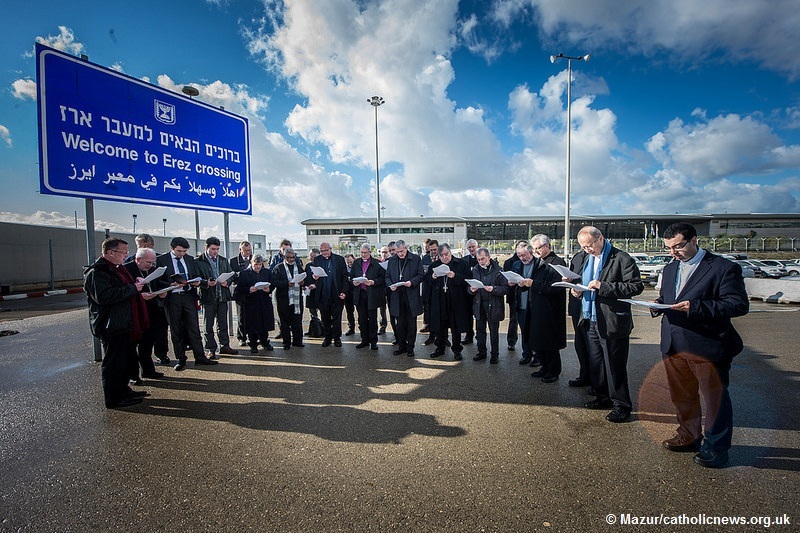 Archbishop Kieran O’Reilly and Bishop Ray Browne were both part of a delegation of European bishops which travelled to the Holy Land from 10-15 January. 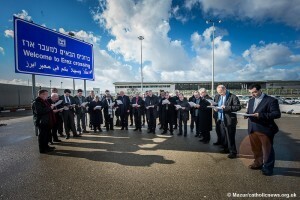 The purpose of the pilgrimage was to promote prayer and support for the Christian community in the Holy Land, and to encourage peace and the building of human dignity. The delegation also had an opportunity to visit Trócaire-partners in Israel, the West Bank and Gaza. “We have all seen the images on the television news and read the column inches in newspapers and magazines but when you are there in person – meeting families whose lives have been devastated, who don’t have a roof to put over their heads, basic food to put on the table, and are witnessing children dying of exposure – you very quickly come to realise just how deeply distressing the situation is for the people of Gaza. Despite this, they said in the midst of this devastation hope somehow remains. This is evident in the work of volunteers who are helping people to rebuild their lives in very trying circumstances and against a background of uncertainty about their futures. It is evident in the determination of families who are setting about the task of rebuilding their lives. It is very much evident in the faith of the people, the Archbishop of Cashel & Emly and the Bishop of Kerry said. The bishops thanked everyone for their ongoing and generous support for Trócaire’s work in the Holy Land and, they appealed to Irish people, despite the difficult current economic circumstances, to continue their support.